the Partnership for Drug-Free Kids recently introduced its new Parents Toll-Free Helpline, a bilingual support service staffed by clinical social workers with practical experience in substance abuse prevention and treatment. 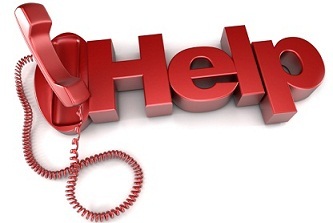 The helpline, which can be reached at 1-855-DRUGFREE (1-855-378-4373), provides concerned parents with valuble information about prevention, intervention, treatment and recovery from addiction. New to the Partnership for Drug-Free Kids is Johanna Bos, LMSW CASAC, a clinical social worker who works to staff the helpline and counsel those seeking substance abuse information. Johanna joins us from the Children’s Aid Society, where she worked with birth parents whose children were removed from their custody due to substance abuse. Recently, she also managed an outpatient substance abuse treatment clinic, and brings to our cause a wealth of professional knowledge about the support those affected by addiction. “Working with parents and families through the toll-free helpline is rewarding, as it allows me to provide parents with a level of support and compassion,” said Johanna. We co-hosted with Netflix a screening of their compelling and Oscar-nominated original short documentary film, Heroin(e), at the SoHo House in New York City. The Partnership has been tapped by Media Planet USA as recurring contributors on adolescent substance use, working together on articles that bring awareness to important issues affecting society today.